Are you unsatisfied with built-in mail app of your iPhone ? 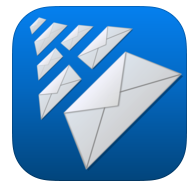 If yes, this article is going to tell you about the best iPhone email apps. Most of these apps can also be used on your iPad. These apps are very useful to send, read and manage emails from your iPhone. Check out these featured rich email apps on your iPhone. These email apps will help you manage all types of your email related works easily from iPhone. If you have to read and reply lots of email, you can use any of these apps to complete your email tasks quickly from your iDevice. With the help of these email apps, you can easily handle all types of email management jobs. 1. 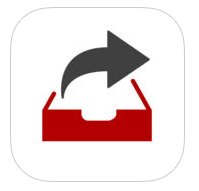 Boxer ( iPhone & iPad ) – If you are looking for premium email app for your iPhone or iPad, Boxer would be a great option for your iDevice that comes with many useful email management related features. The app supports almost all of popular email service providers and comes with cloud file integration option to store your important files in cloud. Boxer comes with lots of amazing features including a nice interface which lets you manage your emails easily from your iPhone or iPad. With the help of Boxer, you can manage all of your email related tasks easily by using these features – swipe to delete or archive, cloud integration, push notification, smart folder , profile picture and many other important features. Great email app for professional users. 4. AltaMail ( iPhone & iPad ) – AltaMail is an advanced email app for iPhone and iPad that is available free of cost on the Appstore. AltaMail comes with various amazing features which are really useful to manage your emails from your iDevice. The app includes inbox zero option to quick access or manage emails, mailshots and templates for quick reply, powerful security option, push notification for emails with sounds, featured rich attachment and built in storage option and multiple email account adding option. Great app that can be used on all of your iOS devices. 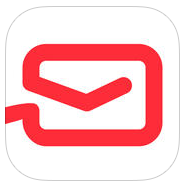 5. myMail ( iPhone & iPad ) – myMail is a simple and powerful email app for iOS users that lets you add your Gmail, Live, Outlook, Hotmail, iCloud, MSN, AOL and Yahoo accounts. Useful free email management app for your device that allows you to view all of your email accounts in a single place. The app comes with various features such as push notification for emails, customizable interface for your message lists and powerful message search option with filter option. 6. 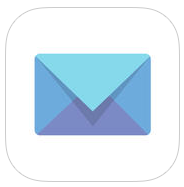 CloudMagic Email ( iPhone & iPad ) – Beautiful email app for iOS users that supports almost all of popular email services such as Google Mail, Yahoo Mail, Outlook , Exchange, iCloud , Google Apps and more. Useful email app that comes with lots of features including passcode option to secure all of your important data. 7. Inbox By Gmail ( iPhone & iPad ) – Official email app of Gmail that lets you access and manage your email accounts easily from your iOS device. The app comes with a nice user interface and lets you access almost all of useful features of Gmail. You can send, reply, view emails quickly by using this app. The app also helps you search your emails quickly from your iOS device. With the help of Inbox, you can access almost all features of gmail service easily from your iDevice. 1. Dispatch ( iPhone Only ) – Dispatch is a premium email app for iPhone users that comes with lots of amazing features which can only be found in few apps. Dispatch allows you to manage your emails easily on your iPhone. With the help of Dispatch, you can get rid of emails by just swapping, and respond quickly by using snippets option. If you have to type the same content again and again, you can store that content as snippets so that you can easily reuse your content in other emails. Dispatch also helps you process your emails with other apps, means you can take action on email by using other apps. Dispatch supports 31 apps which can be used to manage email related tasks such as setting reminders in reminder app, saving important links of your emails to read later with pocket , creating tasks in OmniFocus & Things. One of the best email management apps for iPhone users.